News Americas Now, New York, NY, Friday, June 13, 2014 – It’s been some time, but the wait is over: the popular Moke is back and it’s undergone some slight modifications. These include a shortened name – MOKE – as well as a slighter wider for spacious body. The redesigned MOKE has been engineered to comply with today’s vehicle requirements, ensuring for a more enjoyable and smoother drive. In May 2014, Alain Edery was appointed the Master Distribution rights for MOKE throughout the Caribbean. He is already working with a number of top automotive dealers throughout the Caribbean to appoint MOKE sub-dealers. In mid-May, Alain took possession of the new MOKE on St. Barts. 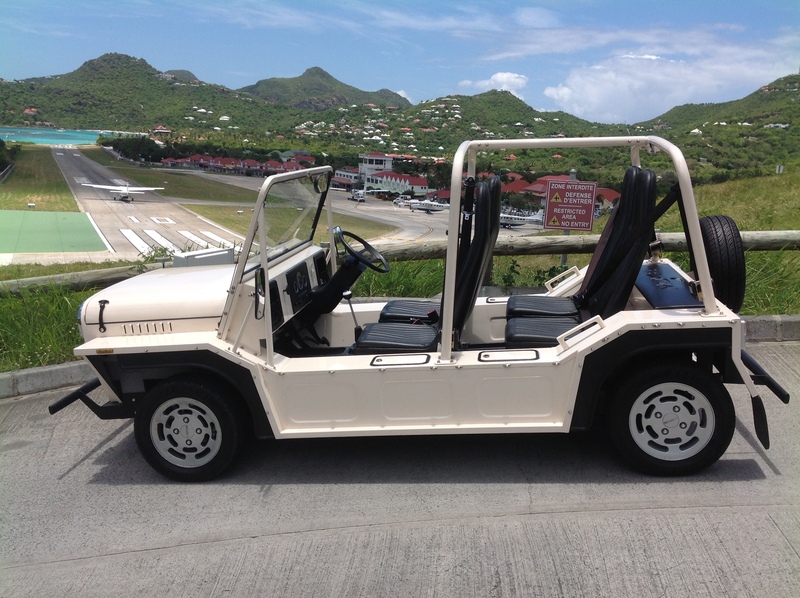 Mr. Edery, an experienced International Entrepreneur and Rental Car Operator, for more than eight years in St. Barts, sees the potential of the MOKE’s revival. The original Mini MOKE has a long-standing history in the Caribbean. Which makes sense since the MOKE is a representation of the carefree, tropical island lifestyle. People who waited for the MOKE’s revival won’t have to wait much longer. It has been over 20 years since the last new Moke entered the Market. Moke International has started producing the Mokes with the Caribbean being one of the initial five launch territories. The Caribbean is the superlative location for the MOKE because of its ideal weather, tourism-based economies and lifestyle the MOKE brand embraces. People will use the MOKE as their mode of transportation to relax while on vacation, enjoying the wind in their hair and sun on their backs. MOKE International is pleased to have Mr. Edery on board because he understands MOKE and what it stands for. To learn more about MOKE International and the latest release, check out www.mokeinternational.com.